I am back! Our weekend in Algonquin park was fabulous! We survived the great outdoors, and I am feeling refreshed and inspired. In fact, I am little anxious to plan our next adventure. August is already here, and in just a few weeks, Fall will grace us with it's warm colours and cool wind, and we will turn the page into a new season of design. I can hardly wait! And look at what I stumbled upon. How fantastic is this lofty space, that belongs to one of Barbara Westbrook's impressive team of designers, Elizabeth Hansen? You know I just love when a designer breaks all the rules. 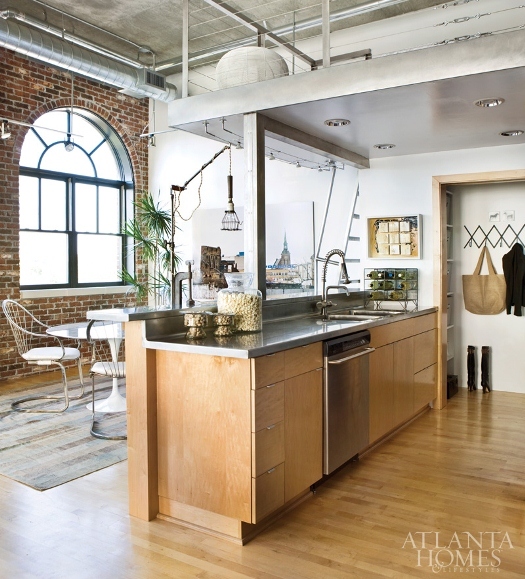 With the exception of the windows, and exposed ceiling, it would be hard to tell that this is actually a loft. There is a mix of mid century modern, new Europe.and Scandinavian, for a real authentic and collected look. 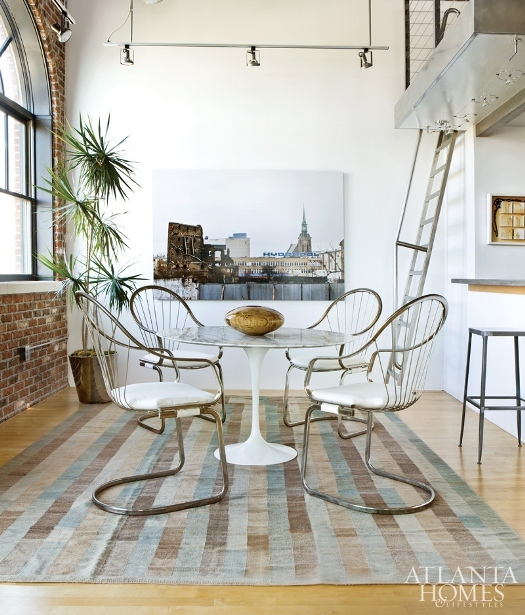 It breaks the traditional interpretation of a loft, and leaves you with an instant at-home feeling.